When Jesse and I bought Recess ten years ago, we were already Westcott-frequenters. Both of us grew up in the Syracuse area and often came to Westcott for friends and shows. 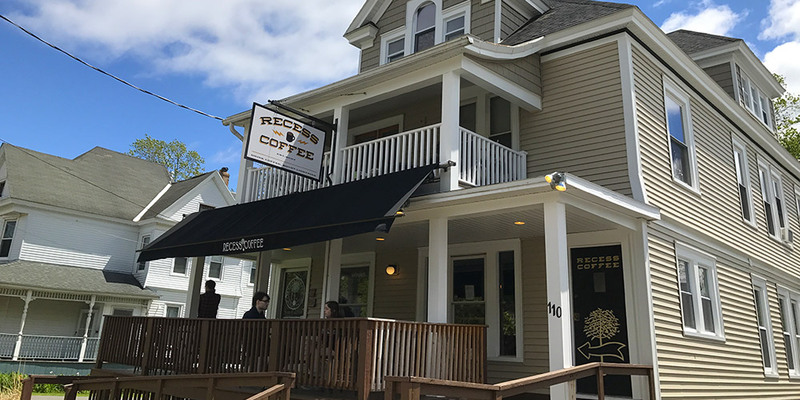 Even though we didn’t have a ten-year plan or vision for what Recess might become back then, we were simply excited to bring a new coffee shop to the area. While we’ve certainly put a lot of work into the business, we also know that much of our success comes from being a part of the Westcott Nation. We’ve always felt as though one of the greatest strengths of the Westcott community is the long running focus on supporting the local economy. Westcotters continue to show their love and support for Recess, and we’ve also benefited from guidance from Westcott entrepreneurs that have come before us—like the Co-Op and Alto Cinco. We have fond memories and love for the Westcott Community Center and Planet 505, for being cool places to hangout and see local music. We have even both found our homes in the neighborhood at various times (though I’ve recently, and regretfully, had to relocate for my wife’s work). In return, and with gratitude, Jesse and I have always tried to give back to the community: by providing a space where everyone is welcome—any age, profession, race, gender and sexuality. We’ve provided jobs for many neighborhood residents—and hope to continue to do so! When we can, we donate to local organizations and causes. Some of the challenges of the neighborhood, for us in particular, are the result of being a business in a residential area. Some of the challenges we face include stricter codes and regulations, parking constraints, and less available infrastructure for growth and development opportunities. However, the benefits and support of the Westcott community far outweigh any of these minor issues. In our 10 years, we’ve been honored to be a part of the history of this place while also getting to see the community evolve and develop. We’ve always loved the grassroots spirit, forward-thinking people of the neighborhood—a spirit that defines Westcott and brings us together. We think this is one of the best places in CNY to live and to have a business, and we look forward to being a part of the community as it develops for many years to come.